We have just recently been on holidays and, one morning, we were sitting in the restaurant eating our buffet breakfast when it became very noisy. There was a family at a table nearby. They had 2 young children. I love ‘people watching’ and had seen them arrive and take their seats. The mum had immediately got up to go to the servery. The dad was sitting with the 2 kids, looking at his phone. The kids kept complaining that they were hungry. After a long delay, the mum brought back a bowl of congee type soup and a plate laden with vegetables. The daughter (roughly 4-5 years old) asked if it was for her. The mum said no. It was for herself and she promptly started eating or drinking the soup type mixture. The dad got up and went off to get some food. The girl and boy (roughly 2-3 years old) starting whining. The mum caved in and said “Alright, you can have some”. She promptly started spooning the vegetables into both children. This family stayed in the restaurant for over an hour. The kids were noisy, shouting, hopping out of their chairs and running around. At one stage, I thought that they would knock over a person carrying hot coffee. The mum was on her phone and looked like she wanted some peace. The dad was sitting eating. The kids were making the atmosphere quite unpleasant with their loud whinging. My attention was also captured by another family who seated themselves outside, just near a bush where there were some birds that captured the attention of the child. The little boy (aged 3-4) went with his dad to the servery where his job was to cook the toast. I was fascinated by this little boy’s facial expression of delight, amazement and pure joy as he watched the bread being toasted and fall down on to the plate. He then carefully picked it up and took it to his dad. His dad had cleverly involved him and caught his attention. I also watched another family who had a 12-18 month old. They came, fed her first, and then ate quickly. They had brought a book and something for her hands to hold to amuse her to fill in a short period of time. They were in and out of the breakfast area within 30 minutes. The only thing that I really noticed was the gorgeous book the toddler was ‘reading’. I watched another family as they wisely chose to sit outside as well. Their daughter aged about 6 clearly wanted attention. She sat and pushed and kicked the table, all the while her parents ignoring her and chatting between themselves. The only attention given to the child was to admonish her for knocking the table so much that the coffee spilled over. Throughout this time, my mind went back to when we had a 3 year old and a 6 month old and was at ‘Mother’s Group’ one day with four other mums with similar aged babies. One mum asked when we would all start consider taking our children out to a restaurant. None of the other families had yet ventured out to a restaurant. I shared how we had been a couple of times and they all clamoured to know how it went. We’re booked for a seat near the window so the kids could watch the passing cars. We also made sure that we arrived as soon as the restaurant opened so that it wasn’t busy and that the food we ordered would arrive quickly. We made sure we ordered immediately we had settled in the seat and that the kids food came as quick as possible. We had quiet activities (book, quiet toy etc) in case the kids became restless. We took their implements to eat with ie child’s plastic spoon and fork. We chatted with the kids and explained how a restaurant worked, how to eat properly etc. We didn’t see it as a date night for hubby and I so we didn’t linger over the meal. We were in and out within 30-45 minutes. And it was a success. Parents, they are a number of things you can do to make dining out pleasant, not just for yourselves but for those around you wanting a nice quiet meal. I believe that preparation is the key. You want to go early, as soon as the restaurant opens. They usually won’t be busy so you will be served immediately. Plus, the kids won’t be tired and hungry. Because our kids were used to eating so early, I would often feed them a small meal before we went out (I even did this when we were going to friends places for a 6pm meal). They could then have a bit extra to eat but their hunger pains would be satisfied so it was a lot easier and more pleasant for everyone concerned. Take something quiet to amuse the kids with. Not a noisy toy but a book, colouring in, or a quiet toy. I used to keep aside a special toy and book just for those times when we were out and they were getting restless. Thus, because the book and toy were special and not familiar, it kept their attention longer. Do not plan on staying too long. The aim is to get in, eat, and leave before they get too restless. Kids need to learn how to act in a restaurant. You need to teach them to stay in their seat. They need to be taught how to speak quietly and use an ‘inside’ voice. (Not that they use a whispering voice in a restaurant but kids need to be taught how to whisper.) Kids need to learn to respect other diners. They also need to learn how to feed themselves and the proper use of cutlery. They also need to learn to eat nicely and not leave a huge mess with food all over the table and floor. Most of this needs to be taught at home prior. In your daily life as you eat each meal, make sure everyone sits at the table to eat. 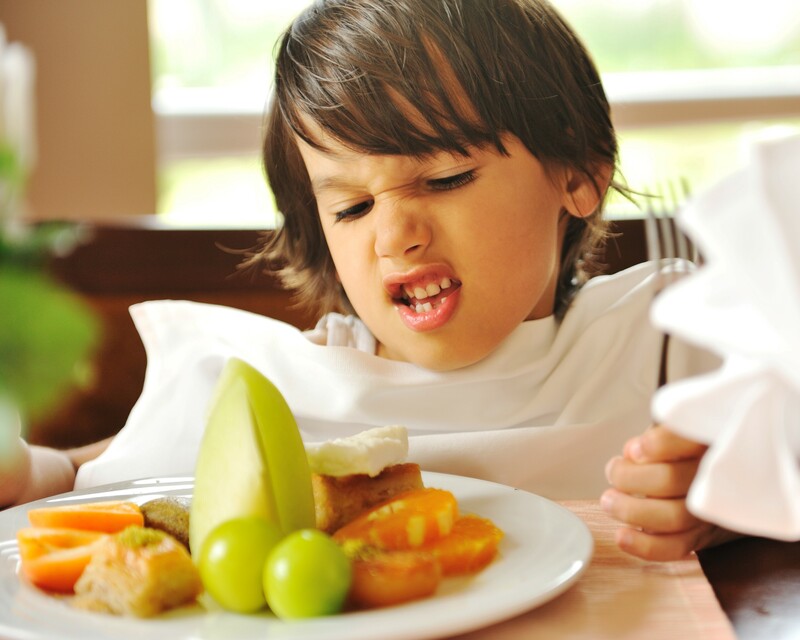 Do not allow the kids to throw their food or utensils off the side of the table or highchair. As soon as they do it the first time, calmly say no. Explain that that is not acceptable behaviour and it obviously means that they do not get any more food to eat until the next meal time. Let them go hungry. Wipe their face and hands and remove all food from their reach. We would practice dinner conversation skills even at that early age. We would teach the kids how to ask each other questions about their day. A little thought and preparation beforehand makes the outcome at a restaurant more pleasant for everyone. True, other diners need to be sympathetic to young children but they should not be expected to put up with unacceptable behaviour such as running around, whinging and screaming, throwing food. An important consideration in the first place is the type of restaurant you are going to. If it is ‘fine’ dining restaurant for your first dining outing, then just don’t go. A place that offers a kid’s menu is a great place to start. Importantly, this was not a date night for hubby and me. We did not linger over coffee. We finished before the kids became too restless. Most importantly, we were modelling great skills for later in life. I can remember my doctor sharing with me that when she first became a doctor and had to attend various medical dinners, she was embarrassed because she had never been to many restaurants before so she didn’t knew how to act. She was urging me to not let that happen to my kids. Watching my kids this morning, they seemed totally okay with eating breakfast out. It was a pleasant experience. As they are now older, the 12 year old boy consumed an enormous amount of protein and our 15 year old daughter was content to eat, chat and then go. Dining out with kids is doable and can be a very enjoyable experience for everyone concerned. I believe a little bit of preparation is the key.